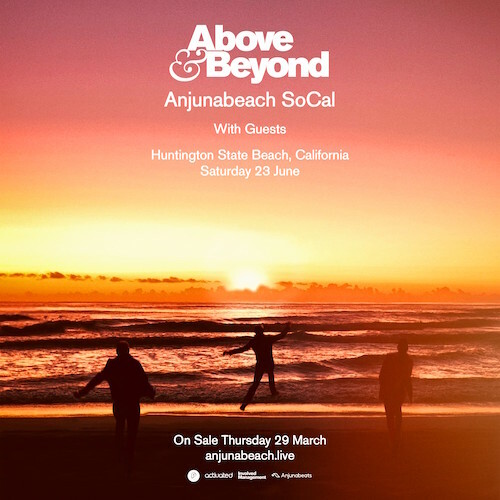 Above & Beyond will be hitting the sand on Huntington State Beach on Saturday, June 23rd. The famed English trance trio will be playing on the beach for Anjunabeach SoCal in what’s being called “the boy’s biggest show in California to date and the largest summer beach bash on the West Coast this year.” The event, which runs from 12pm (noon) to 9pm, is being put on by Activated Events and Phantom Music Group. No support lineup has been announced yet, but with all the friends Jono Grant, Tony McGuinness, and Paavo Siljamäki have in the industry, along with the roster of their Anjunabeats/Anjunadeep record labels, and the special guests they’ve had on Group Therapy radio show, there’s no need to worry. General admission tickets for the 18+ event are $75. VIP tickets for those who are 21+ are $179 and include access to VIP area including beanbags, hammocks, and shade; private VIP cash bar with top shelf options; additional food options in VIP area; VIP restrooms; and commemorative lanyard.